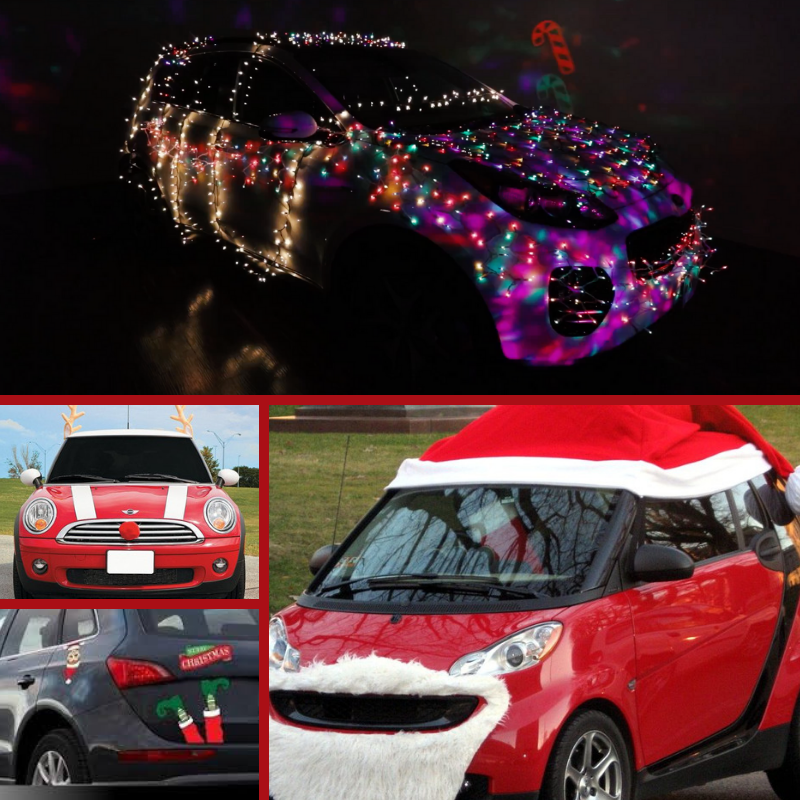 Put some holiday spirit in your drive by decorating your car. There is no need to limit yourself to rooftop reindeer antlers, placing a wreath on the front grill or using holiday-themed reflective magnets. Use your imagination and creativity to spread cheer on Charleston’s roads this holiday season. You can string lights on both the interior and exterior of your car or embellish with ribbons and bows. Take advantage of your car’s natural attributes like the SMART Santa featured below. If you are looking for inspiration head to Pinterest or a Google search.